I think that consciousness is at least binary inasmuch as physically separate parts of the gross nervous system are self aware in terms of each other. I particularly note the solar plexus brain correspondence of profoundly automatic consciousness to a governing active consciousness of the neo cortex. Thus self awareness begins with a necessary mutual awareness with neither particularly slaved to the other as we unconsciously assume. Yet there is a natural hierarchy of course to all this. I think that such an implied architecture makes consciousness inevitable. Besides, I have an issue with conclusions based on Godel’s Theorem. NEW YORK — The idea that consciousness arises from quantum mechanical phenomena in the brain is intriguing, yet lacks evidence, scientists say. 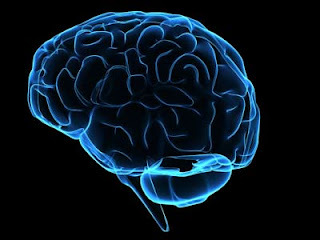 Physicist Roger Penrose of the University of Oxford and anesthesiologist Stuart Hameroff of the University of Arizona propose that the brain acts as a quantum computer — a computational machine that makes use of quantum mechanical phenomena (like the ability of particles to be in two places at once) to perform complex calculations. In the brain, fibers inside neurons could form the basic units of quantum computation, Penrose and Hameroff explained at the Global Future 2045 International Congress, a futuristic conference held here June 15-16. The idea is appealing, because neuroscience, so far, has no satisfactory explanation for consciousness — the state of being self-aware and having sensory experiences and thoughts. But many scientists are skeptical, citing a lack of experimental evidence for the idea. Penrose and Hameroff developed their ideas independently, but collaborated in the early 1990s to develop what they call the Orchestrated Objective Reduction (Orch OR) model. Penrose's work rests on an interpretation of the mathematician Kurt Godel's incompleteness theorem, which states that certain results cannot be proven by a computer algorithm. Penrose argues that human mathematicians are capable of proving so-called "Godel-unprovable" results, and therefore human brains cannot be described as typical computers. Instead, he says, to achieve these higher abilities, brain processes must rely on quantum mechanics. But Penrose's theory didn't explain how this quantum computing occurred inside actual brains, just that the phenomenon would be needed to solve certain mathematical equations. Hameroff read Penrose's work and suggested small fibrous structures that give cells their structural support — known as microtubules — might be capable of carrying out quantum computations. Microtubules are made up of units of the protein tubulin, which contains regions where electrons are swirling around very close to each other. Hameroff proposed that these electrons could become "quantum entangled," a state in which two particles retain a connection, and an action performed on one affects the other, even when the two are separated by a distance. In the Orch OR model, the mathematical probabilities that describe the quantum states of these entangled electrons in microtubules become unstable in space-time. These mathematical probabilities are called wave functions, and in this scenario they collapse, moving from a state of probability to a specific actuality. In this state, the microtubules in one neuron could be linked to those in other neurons via electrical connections known as gap junctions. These junctions would allow the electrons to "tunnel" to other regions of the brain, resulting in waves of neural activity that are perceived as conscious experience. "Penrose had a mechanism for consciousness, and I had a structure," Hameroff told LiveScience. Interesting as it sounds, the Orch OR model has not been tested experimentally, and many scientists reject it. Quantum computers — computers that take advantage of quantum mechanical effects to achieve extremely speedy calculations — have been theorized, but only one (built by the company D-Wave) is commercially available, and whether it's a true quantum computer is debated. Such computers would be extremely sensitive to perturbations in a system, which scientists refer to as "noise." In order to minimize noise, it's important to isolate the system and keep it very cold (because heat causes particles to speed up and generate noise). Building quantum computers is challenging even under carefully controlled conditions. "This paints a desolate picture for quantum computation inside the wet and warm brain,” Christof Koch and Klaus Hepp of the University of Zurich Switzerland, wrote in an essay published in 2006 in the journal Nature. Another problem with the model has to do with the timescales involved in the quantum computation. MIT physicist Max Tegmark has done calculations of quantum effects in the brain, finding that quantum states in the brain last far too short a time to lead to meaningful brain processing. Tegmark called the Orch OR model vague, saying the only numbers he’s seen for more concrete models are way off. "Many people seem to feel that consciousness is a mystery and quantum mechanics is a mystery, so they must be related," Tegmark told LiveScience. The Orch OR model draws criticism from neuroscientists as well. The model holds that quantum fluctuations inside microtubules produce consciousness. But microtubules are also found in plant cells, said theoretical neuroscientist Bernard Baars, chief executive officer of the nonprofit Society for Mind-Brain Sciences in Falls Church, Va., who added, "plants, to the best of our knowledge, are not conscious." These criticisms do not rule out quantum consciousness in principle, but withoutexperimental evidence, many scientists remain unconvinced. "If somebody comes up with just one single experiment" to demonstrate quantum consciousness, Baars said, "I will drop all my skepticism."